Yesterday, Julie and I went to the daytime meeting of the Needlework Guild of Minnesota and gave a presentation on Brazillian embroidery. Brazillian embroidery is unique in that it employs the use of 100% rayon threads. 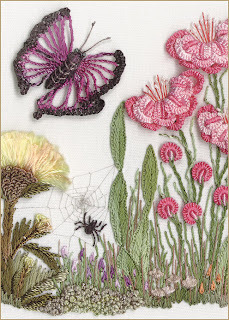 Varried stitches are used but bullions are heavily present in this form of embroidery. We had a wonderfully talented and receptive audience. We were thrilled to be in the midst of such talented and knowledgeable women! >So, by now everyone should be “working” on Thanksgiving left-overs and have full tummies! We are all so fortunate to be home with friends & family to celebrate the season’s holidays! 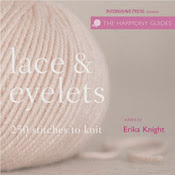 Today has been fun at 3 Kittens…… The Adrienne Vittadini yarns & pattern booklets are going fast, and many folks are finding perfect gifts in the 2nd Annual Samples sale! Be sure and stop by for the 40% sale this weekend. 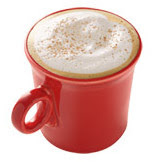 Megan, Liz’s daughter, made a special delivery of EggNog Lattes to keep us in the holiday spirit. Thank you, Megan! If you are looking for something shiny, Britt Hawkins will be here on Sunday, December 9th, from 1p – 4p, to show us all of the latest sterling silver designs from Silpada. 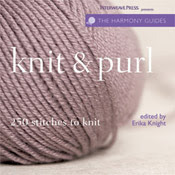 You can go to the web site (http://www.silpada.com/public/home.jsf) for a preview or stop by the shop to see a catalog. Britt will have several pieces for cash and carry purchases that afternoon. Be sure and stop by for some holiday cookies & silver shopping! 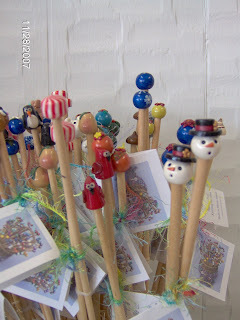 >Gift Ideas & Classes for the Holidays! >First, I would like to thank all of you that participated in our Education Survey. And, congratulations to Joann Murphy, our survey prize winner! We analyzed all of the survey information you gave us and we are now in the final planning stages for our Winter class schedule. 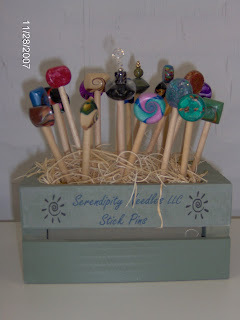 It should be posted on the web site by the 1st of December and we have classes planned for all levels of fiber artists! In the meantime, we have added some great classes in the month of December to help you create some life time memories for your loved ones. 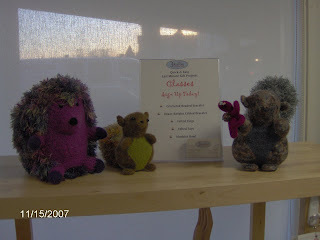 Sheryl, the Knitchique, will be teaching Felted Toys ( how about a lovable little penguin or a funky hedge hog?) the first 3 Saturdays in December, and she will also do a one-session class for the Moebius Bowl, a great basket for gift giving or holiday decor. 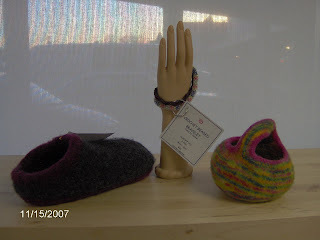 Janine is going to be sharing her expertise to assist you in making Felted Clogs for that someone special and she is also teaching the crocheted beaded bracelet for that little gift with some bling effect! 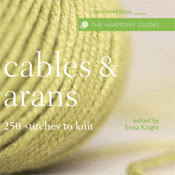 And Tiffany is going to teach cables in a great one session class. You will be able to create unique cabled bracelets in time for that Secret Santa gift or all of your friends! of the very special events hosted by 3 Kittens this year! Berta Karapetyan, Maggie Jackson, Iris Schreier and Chris Bylsma. so please call in advance to reserve your seat. 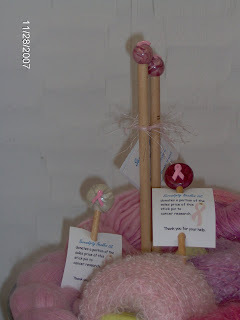 to support you in finishing all of those fabulous projects!! 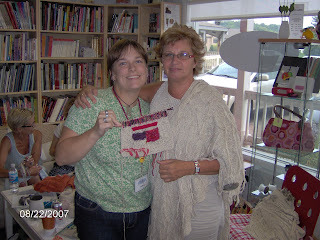 See you at Designers’ Knit Nites!! P.S. 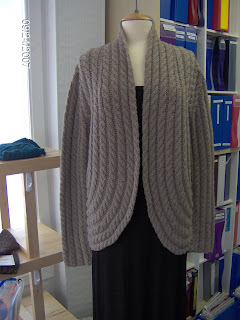 Please note Designers’ Knit Nite replaces the Iris Knit Night & Karabella KAL!